Choose from our classic range of UPVC French casement windows. If you are looking for a beautiful yet understated style, then these windows are ideal. Our UPVC French casement windows are manufactured to the highest of specifications, using only the latest materials and industry-leading glazing technology. We have a wide selection of colour options, which include white, cream, Rosewood, Light-Oak and Irish Oak. For those seeking a more luxurious look, we offer an option of bespoke colours, such as Grey, Black and Chartwell Green. Our uPVC French casement windows will enhance the appearance of your property, as well as offer many practical benefits. For example, Yale high security locks come with our French casement windows as standard. Finish your new installation in style. Your uPVC French casement windows can be tailored to suit the internal themes and schemes used throughout your home when you choose from our portfolio of frames. We offer chamfered, beaded or sculpted – each of which can be installed in an 18mm double glazed format or as 36mm triple glazing. Whatever your choice, it will complement your property. 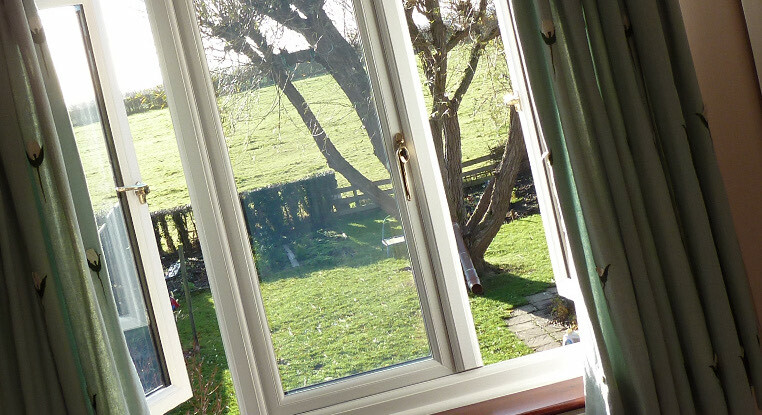 uPVC French casement windows fitted by Hart Windows will improve the energy efficiency of your home. The profile in your new installation will deliver outstanding thermal performance, thanks to the multi-chambered technology included as standard in its design. This will equate to improved Windows Energy Rating as high as A+, which means your home or extension will remain warm – regardless of how cold it is outside. Contact us for details or uPVC French casement windows prices. 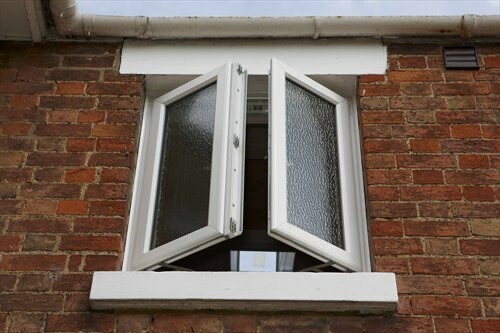 With our UPVC French casement windows, it is possible to have both vents opened fully. Alternatively, these windows can open independently for improved ventilation. This means your home will be cooler during summer and optimised for entertaining. The cool air entering in through your uPVC French doors will have an additional (and welcome) benefit. Your room will no longer be prone to condensation, which means you won’t need to worry about mould-related issues from occurring later on. Because our uPVC French casement windows can be opened at a 90° angle, they provide superb views of the outside. This also means they’re easy to clean, as the internal mechanisms of the window will be exposed when its opened to its fullest extent. Enjoy lasting quality, superb performance and outstanding visuals when you choose your uPVC French casement windows from Hart Windows. Made from fully recyclable materials, our French windows from Liniar are environmentally friendly and will protect your home from the rain and wind, due to the weather-sealing double-action gaskets incorporated into each profile as standard. Your windows will also include an innovative Yale shoot bolt locking mechanism to protect your home from unwarranted access. The uPVC French casement windows we fit for you will provide a range of other welcome benefits too. The single level latch design in your casement window will make it easy to open and close, so it’ll be ideally positioned in a hard-to-reach place. Its ability to open fully means your nominated room will never suffer from being too hot, and you won’t need to worry about problems commonly associated with condensation. Our uPVC French casement windows are equally impressive. The 5-chambered REHAU profile used in this range delivers ‘A’ WER ratings if a fully re-inforced large outer frame is used. Keeping your home safe won’t be a problem with these high-performing units, which meet Secured by Design criteria in full – even when you buy the standard model. Comfort and security come as standard with REHAU casement windows. For help comparing our REHAU and Liniar range, please contact us. You can also retrieve a casement window quote using our design tool. The quality of our casement windows – and, just as importantly, our service – is constantly measured by independent third parties, like FENSA and the GGF. This means you can depend on our recommendations and the long-lasting performance of our beautiful uPVC French casement windows. To speak with a member of our team, call us directly on 01252 623404 or send us a message. We can offer advice, and provide prices for, uPVC French casement windows, doors, conservatories and much more. Use our free design tool to generate a no-obligation quote for your new casement windows! Year-round comfort is guaranteed, whichever of our thermally efficient uPVC French casement windows you choose. At all times, your room will deliver the comfort you need – meaning you’ll never be too cold during winter, nor suffer from being too hot during summer. Keep your home protected from most attempts by intruders to gain illegal access. The combination of industry-leading locks and hinges will work as a suitable deterrent and, depending on which design of door you choose, will meet Secured by Design standards in full. Build your ideal uPVC French casement windows easily by browsing our growing catalogue of colours and woodgrain foils. A range of glazing and hardware options will be available too – so your new installation and will look and perform exactly how you wanted it to.